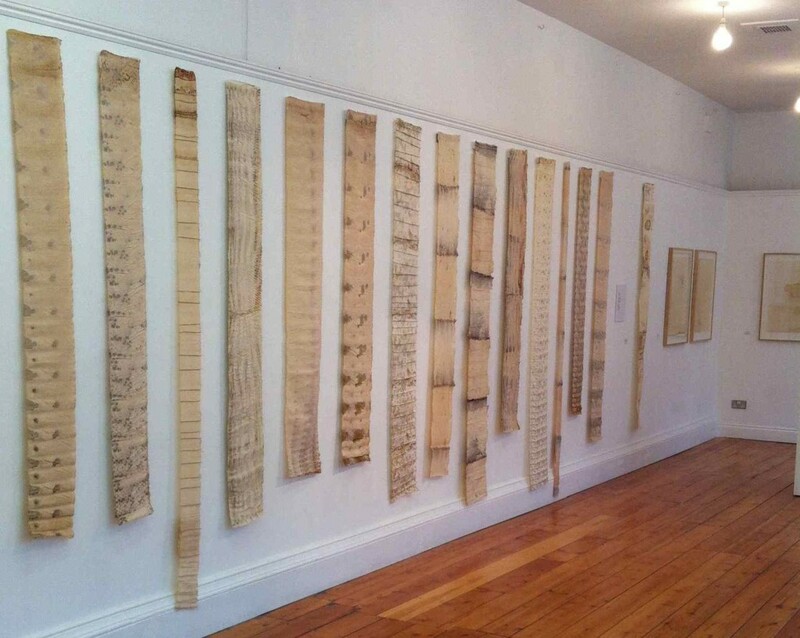 There is still another week to see Tide Marks in Stroud. I’ve really enjoyed being in this lovely gallery and this friendly town. I’ve met some wonderful people and had fascinating conversations. I feel very privileged to be part of SIT Select and this popular festival brings visitors with specialist knowledge and interest. Despite the fact that the logistics of being away from home for a chunk of time are tricky, it makes such a difference being in the gallery and able to to talk to people about the work; both for the visitors and for me. My able gallery assistants (AKA Mum and Dad) did a wonderful job of looking after the gallery last week while I was back at home. The exhibition is at Lansdown Gallery until 24th May, 10.30 – 4.30 (closed Monday). It goes to Hull and London later in the year. 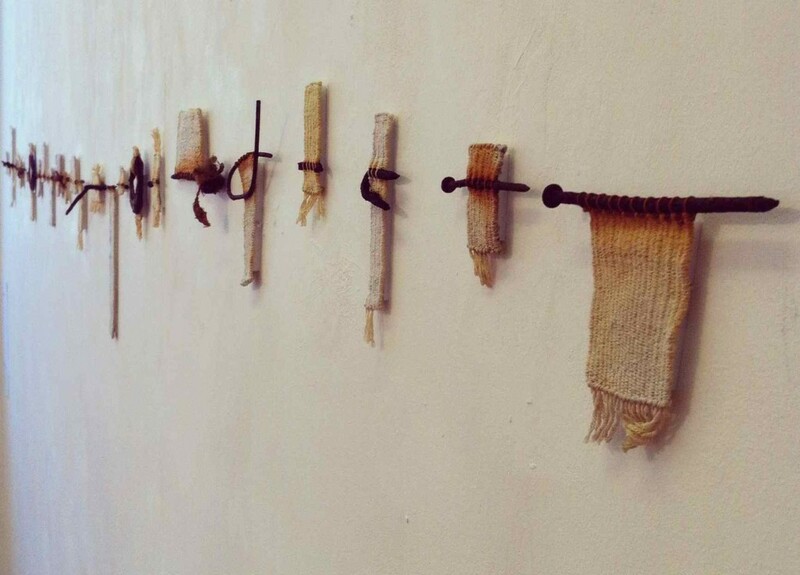 This entry was posted in exhibitions, found objects, galleries, rust, SIT, tapestry weave, Tide Marks, weave by Alice. Bookmark the permalink. I found your exhibition really inspiring, Alice. I went back to South Worcestershire College, where I did my City & Guilds, & told the ‘Alumni Group’ all about it. It was the best thing I saw in Stroud last Saturday. Would love to hear about any more of your exhibitions….and when this one goes to London. Thank you Beryl, I’m glad you enjoyed it. Tide Marks will be in London from 22-27 September. Details listed on the exhibition page. There will be reminders nearer the time on the blog too!